Located at the foot of a sleek office building in downtown Glasgow, Laboratorio Espresso is a masterclass in doing one simple thing well. Maybe two things, if you count the cake. 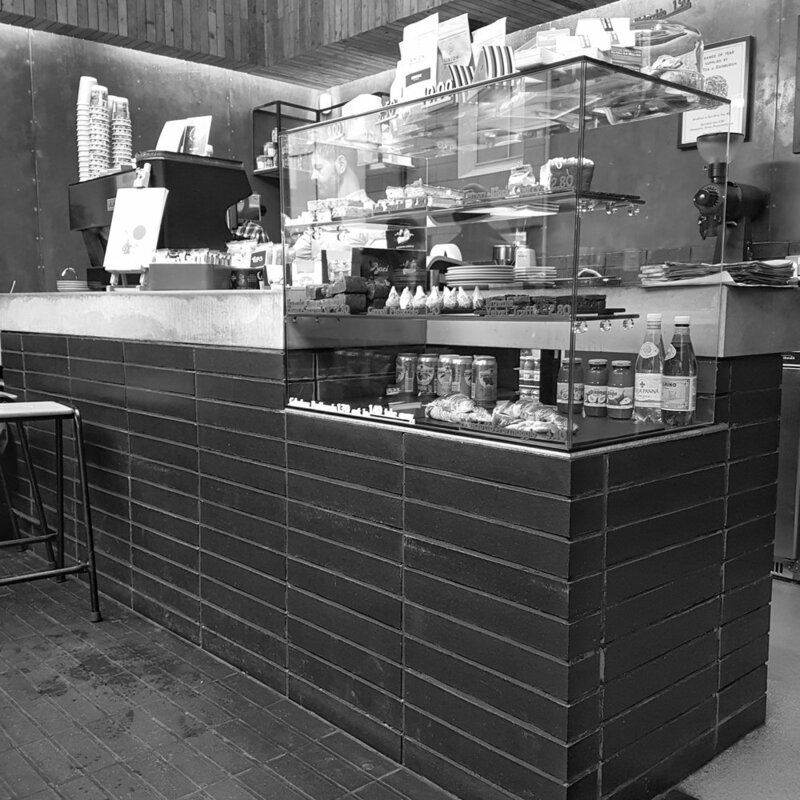 Opening in the autumn of 2013 on West Nile Street, a few minutes walk from Queen’s Street train station, Laboratorio’s aim is to bring Italy’s espresso culture to the people of Scotland. A truly beautiful, award-winning cafe design matched with a commitment to showcasing outstanding roasters from all over Europe, Laboratorio exudes another level of sophistication as its staff serve a fine espresso. The frontage is all glass, and the high ceilings make the diminutive space feel much larger. The interior is gorgeous, industrial-meets-recycled, lots of concrete, brick and tile enhanced by wooden tables and a ceiling covered in timber shutter boards reclaimed from the Glasgow School of Art. The height of the space is striking – there’s even room for a racing bike to hang vertically on the wall above the bar. Seating is minimal but sufficient, minimalist but comfortable. There are a couple of tables inside as well as a fairly sizeable outside seating setup (for those long hot Scottish summer days). Of course the best seats in the house are the stools in front of the enormous windows, perfect for people-watching while you sip your third espresso of the day and pretend that you’re in Milan. 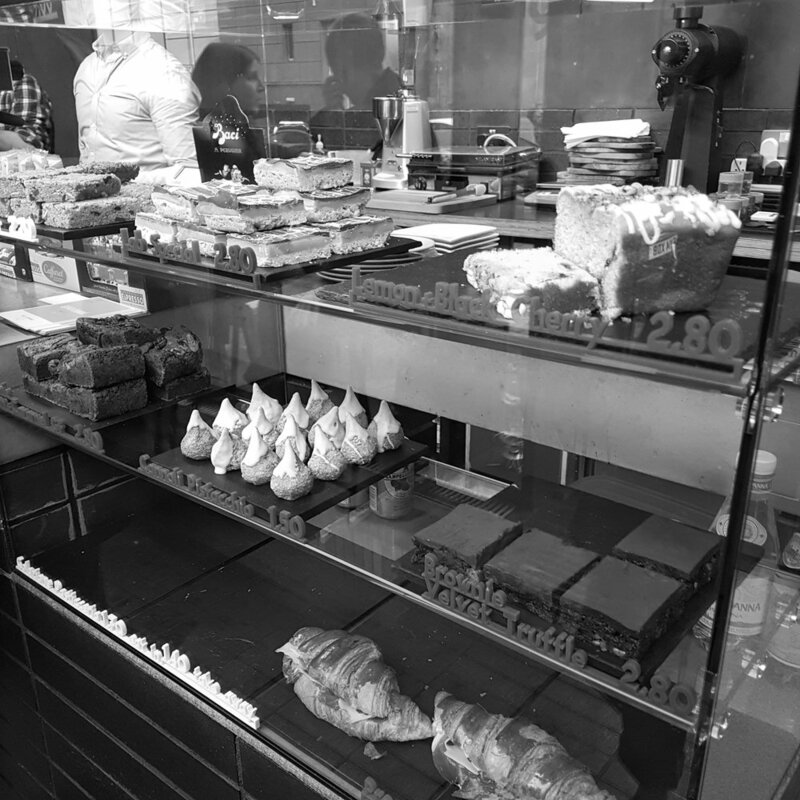 A big glass pastry case presents an array of Italian treats, provided by various local bakers, and espresso is cranked out on, what else, a La Marzocco Linea. The coffee menu is simple, with the usual coffee-and-milk drinks and, at the bottom, mocha and affogato. During the summer months they also offer cold brew and iced lattes, both worth a try if and when the weather calls for it. They rotate their coffees in order to highlight the best of the European coffee scene, and while I was there they were serving Five Elephant and The Barn from Berlin and London’s Union Coffee Roasters. The espresso, using Five Elephant’s natural Brazil Sitio Canaa, was nutty and dense, with a beguiling toffee sweetness and just the tiniest hint of berry brightness in the finish (the tiny glass cup and sachet of sugar was a nice Italian touch). 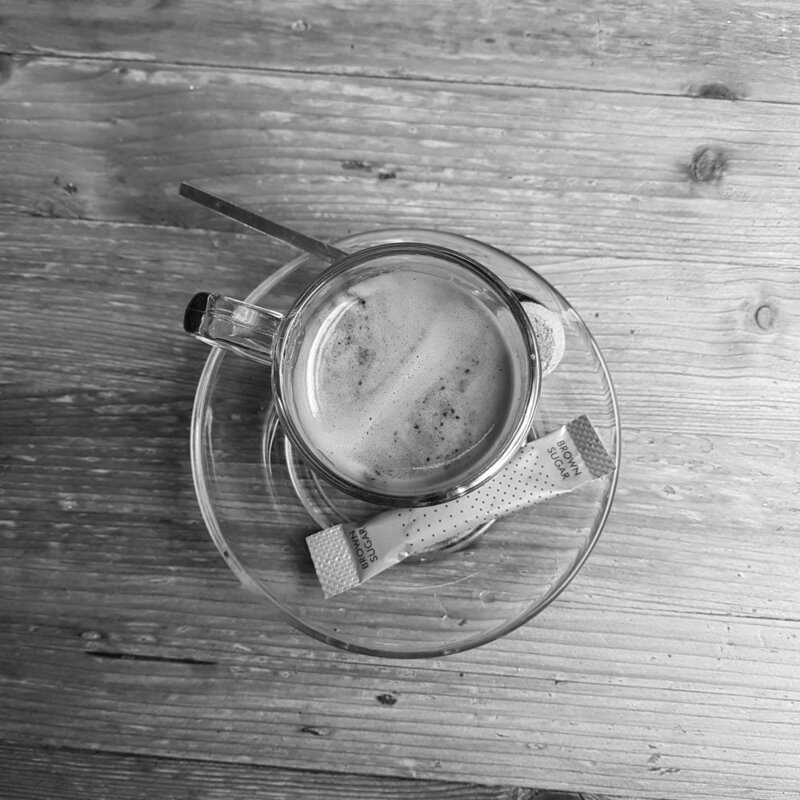 To follow, the piccolo had a good balance between espresso and milk, the sweetness of the milk complementing the nuttiness of the espresso perfectly. To me, a piccolo (or cortado) offers the perfect ratio of coffee-to-milk. Too much milk tends to drown the layers and complexity of a good espresso and leaves a nullified, standard “coffee” flavour (although this may be the draw for a lot of people). Laboratorio’s version was spot on, allowing the espresso to sing through the milk, while the milk reinforced and supported the coffee. Laboratorio is a jewel in Glasgow city centre’s coffee scene. Small and nicely off the beaten track, it is well worth searching out. You will be rewarded with an excellent cup of coffee in one of the most aesthetically pleasing cafe interiors you will find this side of Milan (and even then). If you’re in Glasgow, and you care about coffee, you really must make a point of stopping in here.